The late and great Overend Watts was one of our favourite rock stars. The flambouyant Mott The Hoople bass player was the perfect seventies icon complete with thigh length stack healed boots and silver car sprayed hair – the perfect foil for Ian Hunter in one of the greatest ever British rock n roll bands. I got to know him in his past few years and he was a humble and brilliant man, eccentric and hilarious who was very encouraging for my writing and for the music of my band, the Membranes. We even talked about collaborating on something at some point but luckily for him he didn’t and finally recorded his solo album which has finally been announced. 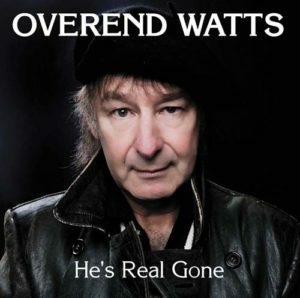 It’s been five months since Pete Overend Watts, the soul of MOTT THE HOOPLE, passed away, and it’s now that the title of his only solo begins to make sense. “He’s Real Gone” – scheduled for September 1st release – was to be titled “She’s Real Gone” but, knowing it would see the light of day posthumously, the legendary bassist twisted the record’s opener tag into something more humorously poignant. Overend produced it and played all of the instruments himself, with THE STIFFS’ Phil Hendriks, Pete’s old friend, providing additional guitar and backing vocals. The album features a baker’s dozen new cuts – although it’d been years in the making and finished in 2016 – and is capped with the demo of “Born Late ’58” that, in full form, appeared on Watts’ band’s swansong “The Hoople” back in the day. The post Overend Watts posthumous album announced appeared first on Louder Than War.